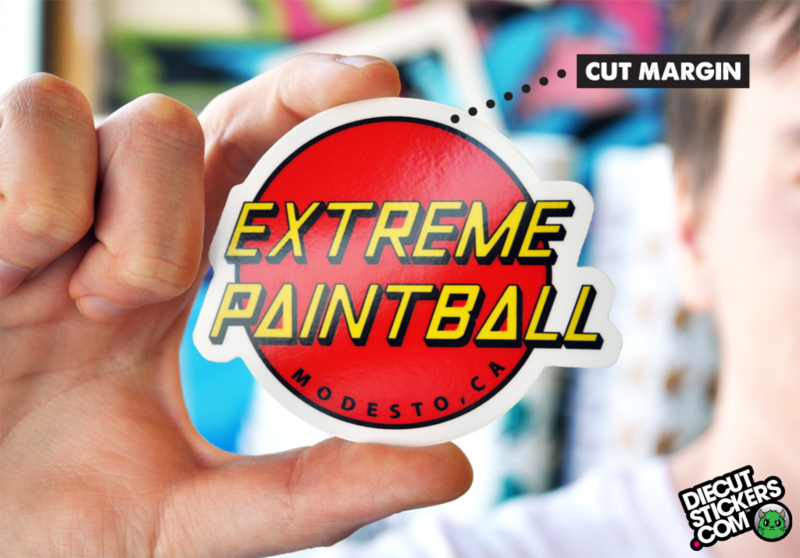 Cut margins are that small, yet critical area that separates great Die Cut Stickers from useless trash. Seattle, it's that time of the year again. DCS is teaming up with Northwest Harvest to collect non-perishable food items and feed the hungry humans of Seattle. Far too many of our friends and neighbors go without food each day and we're here to do something about it. 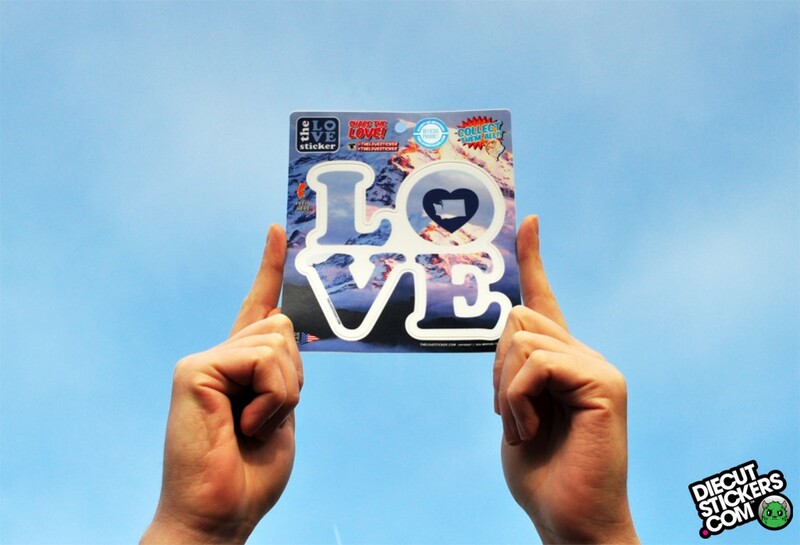 has teamed up with and Loon Parks to build New Hampshire's most exciting and progressive snowboard park setup EVER. As we speak riders are tearing it up and stacking some insane footage. We were happy to contribute some extra-big for the event along with Direct-to-Substrate printed & custom-routed Signs. Check out the video for a short timelapse of the printing and routing in action. 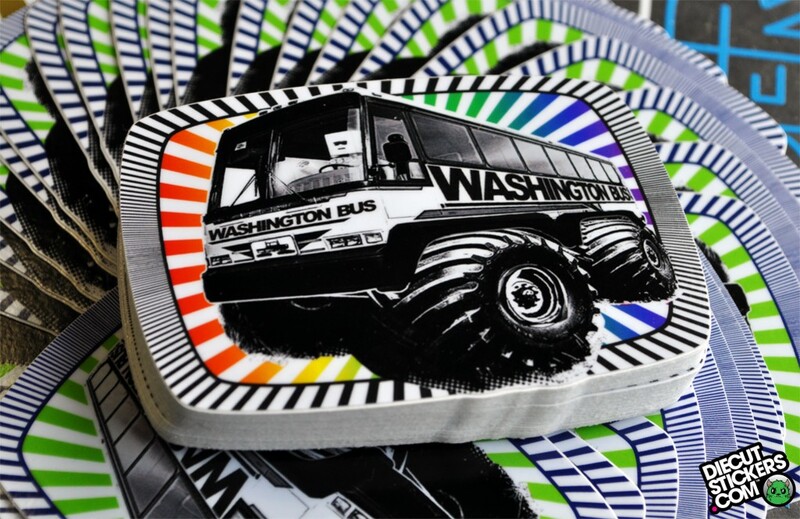 "The Washington Bus engages tomorrow's leaders on their own terms, and empowers them through education, civic and cultural engagement, and hands-on democracy." Friends, there are few lessons in life that bear repeating and what you're about to hear is one of the most critical. In the digital printing process, colors are created using a mix of Cyan, Magenta, Yellow, and Black inks. The standard Black color that you commonly see is created by utilizing a mix of 100% black ink, but is that black enough? In most cases, yes. 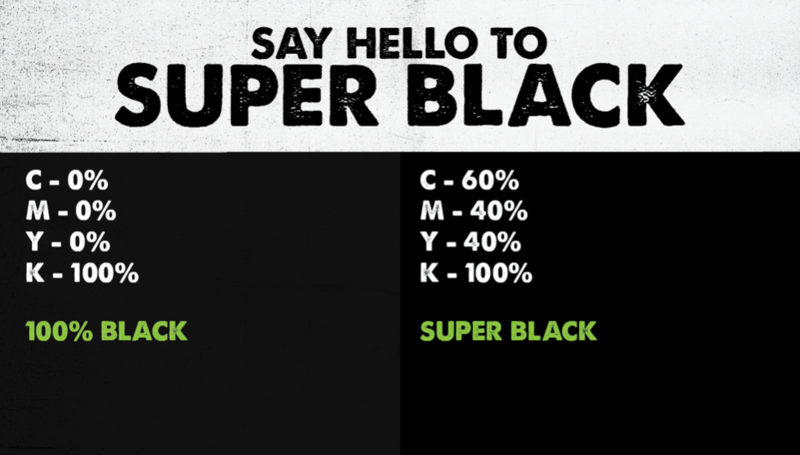 However, if you want lush, rich black there's another option commonly referred to as "Super Black." Read more about What is Super Black? Check out this episode of The Harbor TV featuring our very own VP Ejay O' Donnell. "Everything is awesome," proclaims the theme from The Lego Movie, a movie so feel-good you'd have to be an inanimate object to be ambivalent toward it. 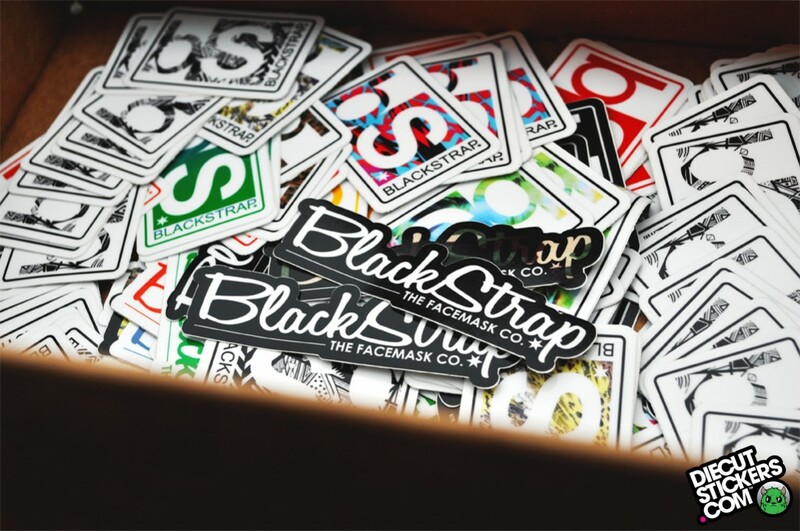 Now, a new sticker product line aims to echo that sentiment in nearly every aspect of life itself. 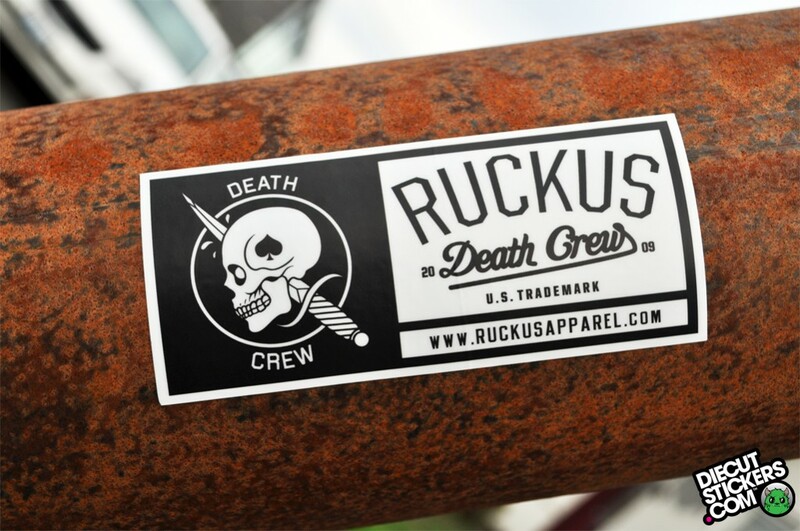 Ruckus Apparel is a brand that oozes style. 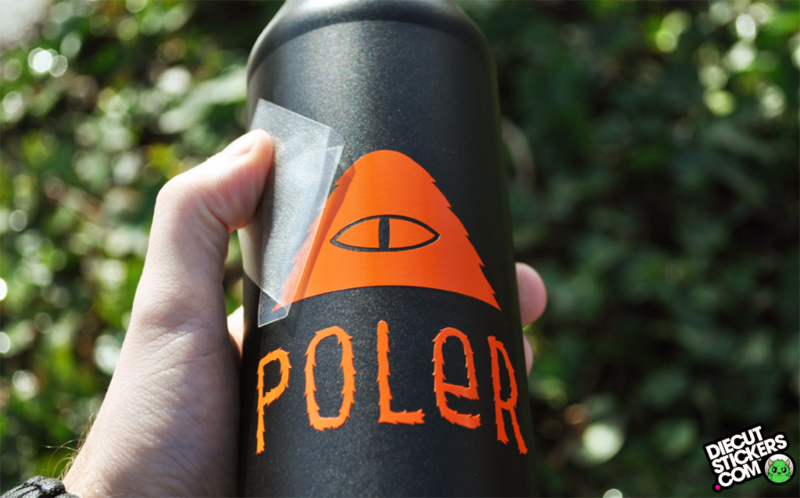 Their simple one-color graphics on largely black, white, and gray clothing are timeless additions to any wardrobe, but how do we translate that same style to stickers?